The single effect fiber separator is mainly used to separate the light and heavy impurities in the waste paper pulp and the secondary decomposing function, and to improve the production capacity of the front-stage equipment and reduce the energy consumption. 3. 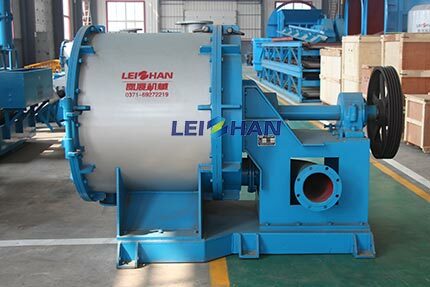 Light impurities is discharged from the center under high-speed rotating centrifugal force to improve the quality of paper products.